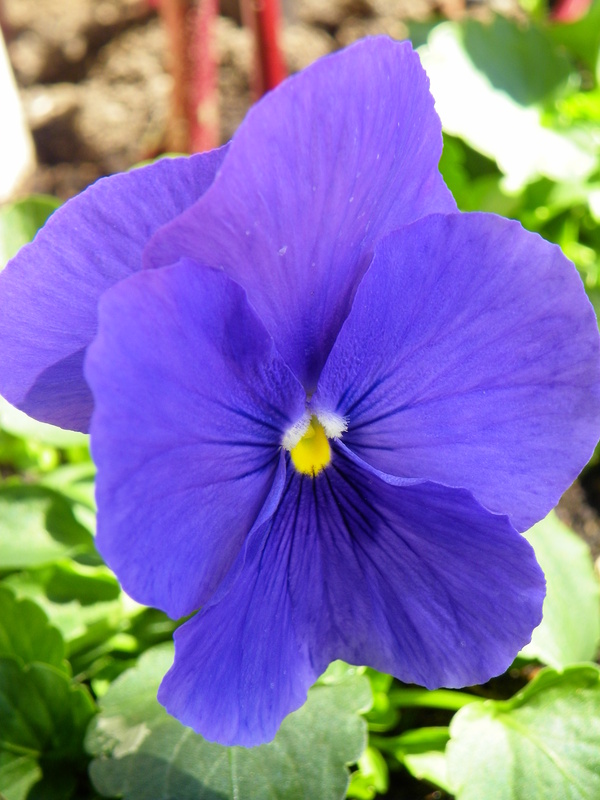 A blue pansy signals that we all made it through the winter! The pansies have landed and are at your neighborhood nursery or garden center. Every northern gardener needs to treat their garden and themselves to a pot of pansies as early as possible in the spring. Particularly after the winter we have all just weathered. Pansies will take a little frost, which makes them the ideal harbinger of spring, however, if it dips too far below freezing, past 30 degrees or so, you best throw a sheet over them. They will also take a good deal of shade and still flower for you. Move them to another area of the garden when the time comes for the summer salvias and snapdragons. Or leave them right where they are, though they tend to lose their pertness as the dog days are upon us. 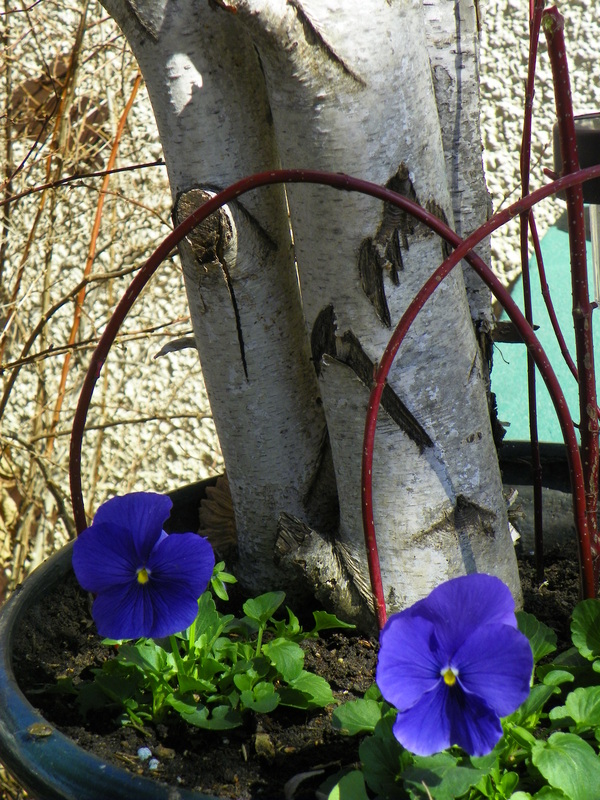 Blue pansies mixed in with the winter container elements. Consider incorporating pansies with a jazzed up collection of your winter container elements. Trim some of the red-twigged variegated branches and incorporate them. Use birch logs as backdrop. Get out the pruning shears and go to town.